Hellboy has returned to theaters in a new film based on the long running comics series by Mike Mingola. 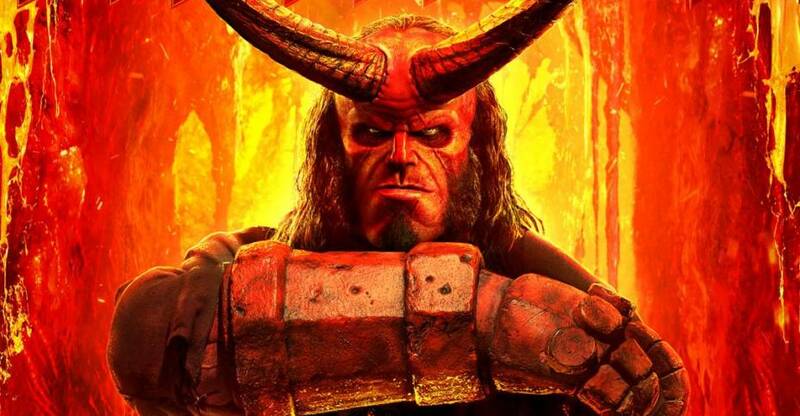 In the new Hellboy film, a cinematic reboot for the franchise, Stranger Things actor David Harbour takes over the title role from Ron Perlman, and horror director Neil Marshall takes the reigns from Guillermo del Toro. While the film looks to be dead in the water at the box office, there’s no denying that the film crew did a great job of turning Harbour into Hellboy. A Mezco One:12 Collective Hellboy Figure was revealed last week, and now Hot Toys is ready to showcase their take on the new Hellboy. The new Hellboy 1/6 Scale Figure stands about 12.6″ tall, with over 20 points of articulation.The figure includes a removable coat, a B.P.R.D. t-shirt, multiple interchangeable hands, interchangeable long and short horns, two pistols, an Excalibur sword, a translucent sword of fire, a flame crown, effects pieces, a communicator, a diorama base, and more. Look for the figure to be released between the second and third quarters of 2020. You can see photos and full details after the jump. 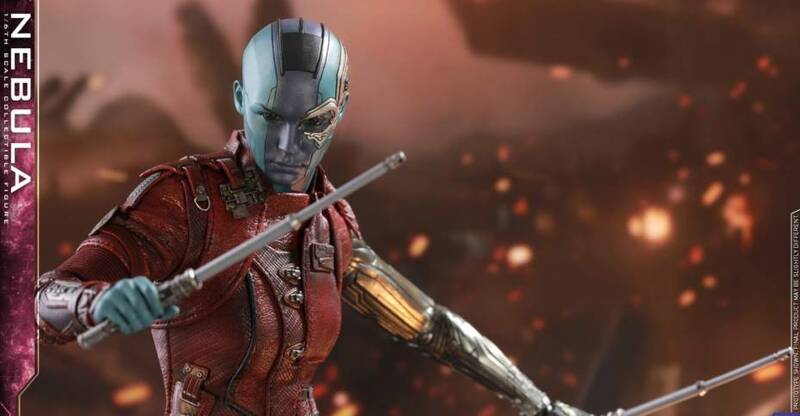 Hot Toys has released images and details for three upcoming Avengers: Endgame Figures. The new updates give us a look at their Hawkeye 1/6 Scale Figure, their Deluxe Hawkeye 1/6 Scale Figure, and their War Machine 1/6 Scale Figure. Unlike every other company, Hot Toys is referring to Clint Barton as Hawkeye in their posts, as opposed to Ronin. It remains to be seen how that will play out in the film. The standard Hawkeye includes an unmasked portrait, a bow, arrows, interchangeable hands, and throwing knives. The Deluxe Hawkeye includes those items, as well as a masked head sculpt, and a sword and sheath. War Machine includes a shoulder cannon, interchangeable hands, a light up helmet, and a swap out helmet with open face plate. Check out photos and full details after the jump. 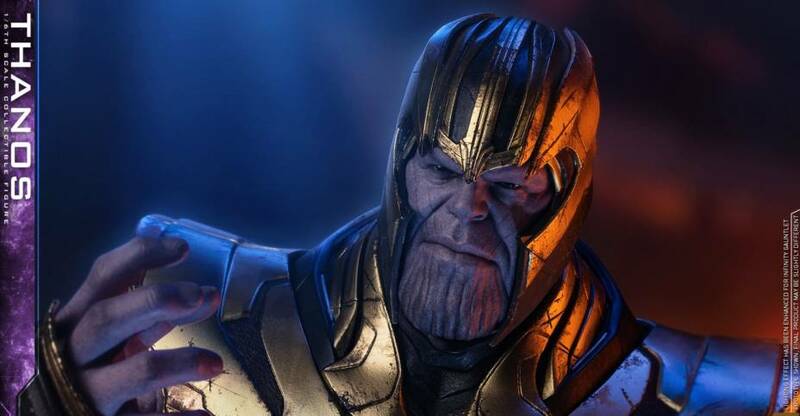 Hot Toys has released official photos and details for their upcoming Avengers: Endgame – 1/4 Scale Infinity Gauntlet Collectible. For the most part, this appears to be a very similar, if not the exact same, Gauntlet that was released for Avengers: Infinity War. There will be a new logo base featuring the Avengers: Endgame. The Infinity Gauntlet features light up Infinity Stones. While pricing hasn’t been revealed, their last 1/4 scale Infinity Gauntlet is priced about $95. Look for this to be released some time between the second and third quarters of 2019. Capable of channeling the full power of Infinity Stones, the Infinity Gauntlet is one of the most dangerous and mysterious weapons in the universe. When it is fully charged with all six Infinity Stones, this left-handed gauntlet grants the wearer unimaginable power and absolute control of all aspects of time, space, power, reality, mind and the soul. 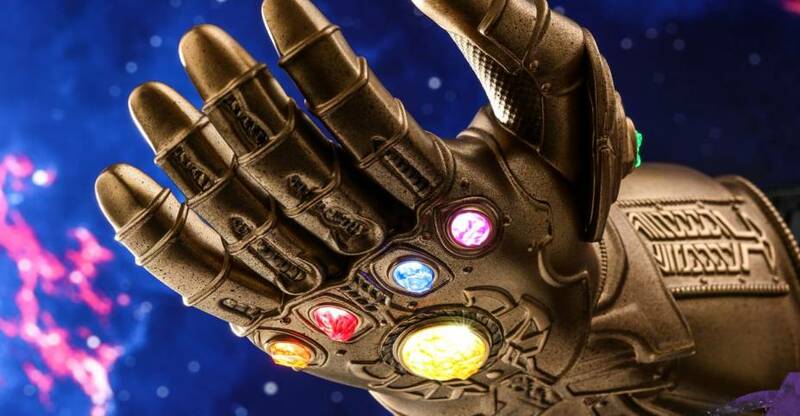 Inspired by the highly-anticipated blockbuster Avengers: Endgame, Hot Toys is excited today to present the 1/4th scale Infinity Gauntlet collectible. 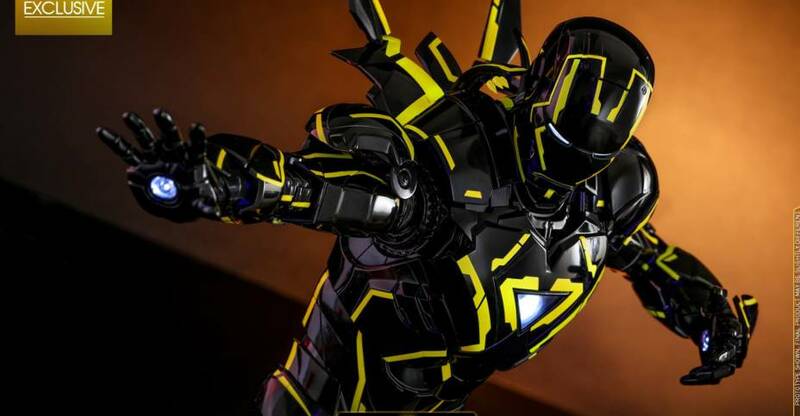 Last year, Hot Toys released a Tron inspired Neon Tech Iron Man 1/6 Scale Figure. The figure had a dark gray, black and neon blue color scheme. Today, they have revealed a second version, which replaces the blue with yellow (similar to Clu’s coloring from Tron: Legacy). Now, with anything revealed on April 1st, there’s a chance this could be their April Fool’s joke. But, for now, let’s run down the details. The Iron Man Neon Tech 2.0 1/6 Scale Figure figure stands about 12.6″ tall, with over 30 points of articulation. The figure includes multiple interchangeable hands, swap out armor pieces, blast effect pieces, and a figure stand. The figure is listed as a Hot Toys exclusive. It’s due for release between the third and fourth quarter of the year. See additional details and the new photos after the jump. Over the weekend, Hot Toys released photos and details for their first two figures from Avengers: Endgame. They have revealed by Iron Man Mark LXXXV and Thanos 1/6 Scale Figures. The Iron Man figure stands at 12.8″ tall with over 30 points of articulation. He includes masked and unmasked portraits, light up LED features, interchangeable hands, interchangeable armor pieces, a figure stand, and some unannounced accessories. Thanos stands over 16″ tall with about 20 points of articulation. The figure includes two interchangeable portraits, multiple interchangeable hands, a removable helmet, two light up LED Infinity Gauntlets, a double bladed sword, and a figure stand. The figures are due for release between the third and fourth quarters of 2020. You can see photos and full details after the jump. Hot Toys has released some updated photos of their upcoming Spider-Man – Spider-Punk Costume 1/6 Scale Figure. They are changing out the guitar for an all-new design. They are changing out the Dean ML Style Guitar for a new original spider inspired design. Unfortunately, the new design is no longer accurate to the one used in the game. One has to wonder if there were some type of licensing issue with using that body style. You can see details below, and the new photos after the jump. Besides showing fantastic swinging mechanics and beautiful recreation of New York City, Marvel’s Spider-Man offers fans an exciting adventure with a diverse and stylish array of the wall-crawler’s iconic suits, and their special abilities to better combat the wide range of enemies Spidey encounters throughout the game. 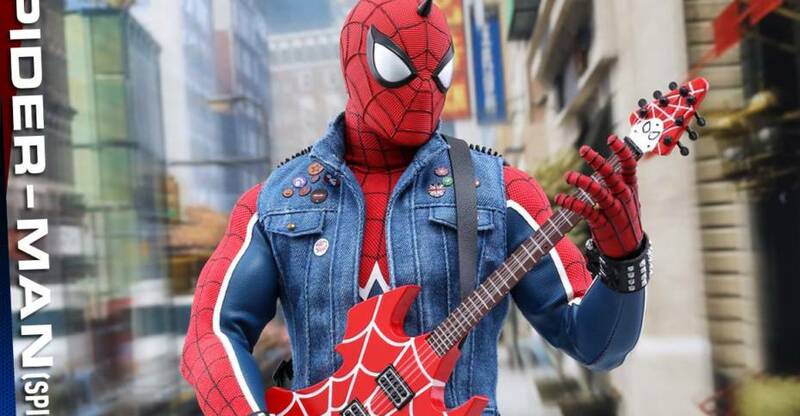 Today Hot Toys is updating the guitar from the 1/6th scale Spider-Man (Spider-Punk Suit) Collectible Figure with a cool new design inspired by spider motif. Let’s get ready to strike a chord and rock this out! Hot Toys has revealed their new Star Wars: Episode I – The Phantom Menace – Qui-Gon Jinn 1/6 Scale Figure. The new figure stands about 12.6″ tall, with over 30 points of articulation. Both a Jedi robe, and a Tattooine poncho are included. 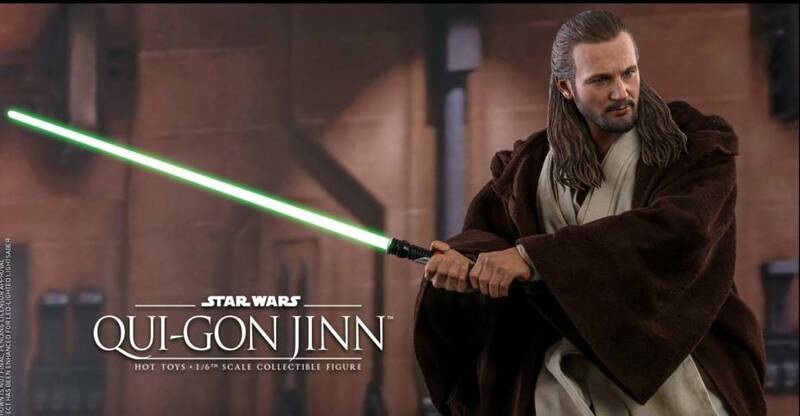 Qui-Gon Jinn will feature interchangeable hands, a Lightsaber hilt, a light up LED Lightsaber, a swinging blade piece, a Comlink, three holograms, a grappling hook, and a figure stand. Pre-orders are not yet live. The figure is scheduled for release between the first a second quarters of 2020. You can see photos and additional details after the jump. 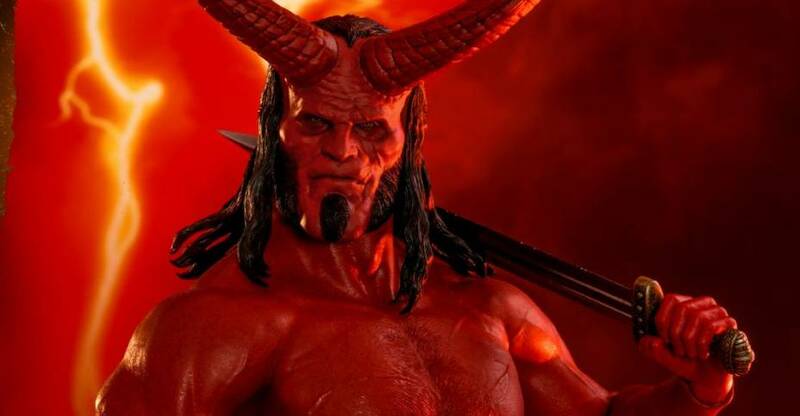 Hot Toys has announced that they will be producing a line of collectibles based on Hellboy (2019). The upcoming film is a new adaptation of Mike Mignola’s comic series. It stars Stranger Things’ David Harbour as Hellboy, and is being directed by Neil Marshall, known for his work on The Descent, Dog Soldiers, Game of Thrones and more. The film also stars Milla Jovovich, Daniel Dae Kim, and Ian McShane. 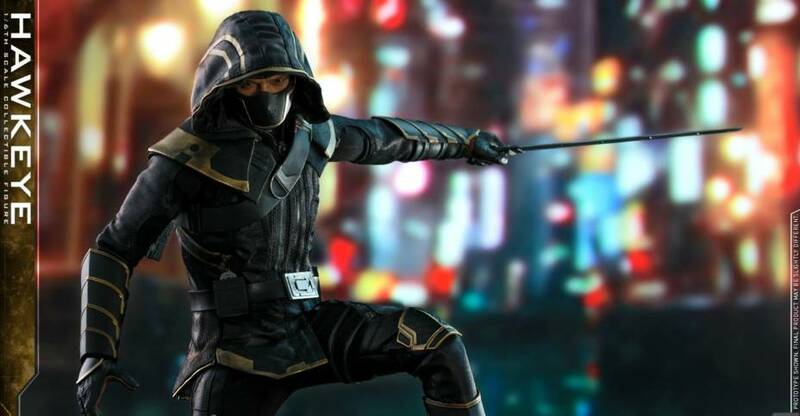 The new line of figures will be unveiled “soon” according to Hot Toys. We will update with photos and details once they are available. If you missed the new red band trailer, you can check it out after the jump. Hot Toys has updated with info on their newest Star Wars figure. They have released photos and details for a Clone Commander Cody 1/6 Scale Figure from Star Wars: Episode 3 – Revenge of the Sith. The figure will stand at 11.8″ tall with over 30 points of articulation. Commander Cody includes a helmet, a head sculpt with the likeness of actor Temuera Morrison, interchangeable hands, a swap out left arm with a light up hologram base, multiple character holograms, a rifle, a blaster rifle, two pistols, a magnetic jet pack, and a themed statue base. 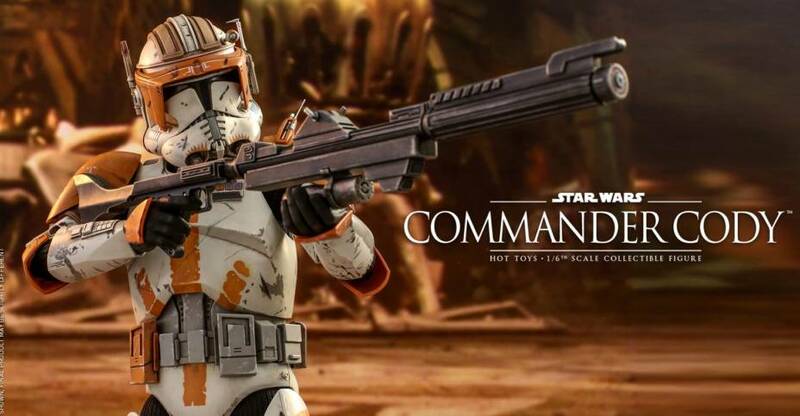 The Commander Cody 1/6 Scale Figure is scheduled for release between the first and second quarters of 2020. Pre-orders have not gone live just yet. You can see full details and the new photos after the jump.